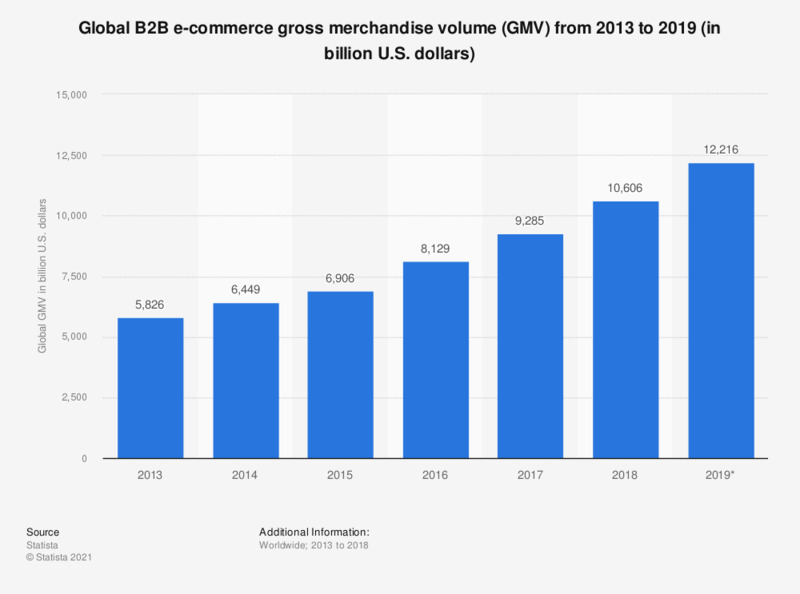 This statistic presents the global B2B e-commerce gross merchandise volume (GMV) from 2013 to 2017. In 2017, the gross merchandise volume of business-to-business e-commerce transactions is projected to amount to 7.66 trillion U.S. dollars, up from 5.83 trillion U.S. dollars in 2013. For more information, check out our recent publication Statista Report 2017 - B2B e-Commerce.